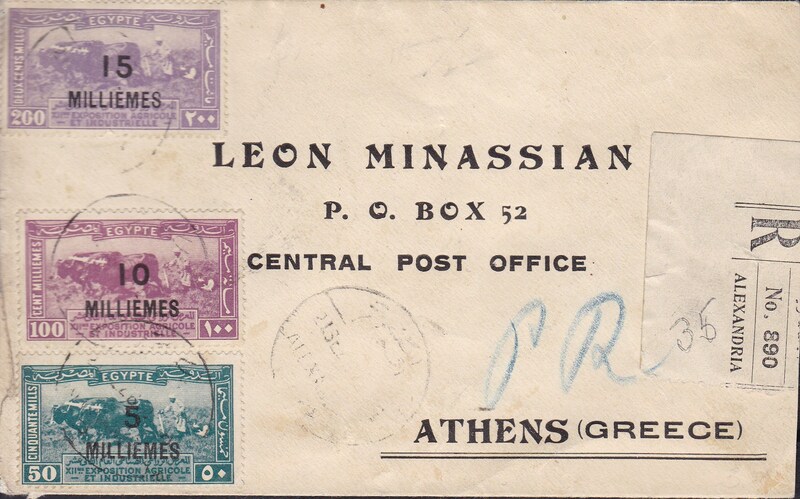 Complete set (3) of the surcharged Agricultural Expo set on a Registered Cover to Athens. 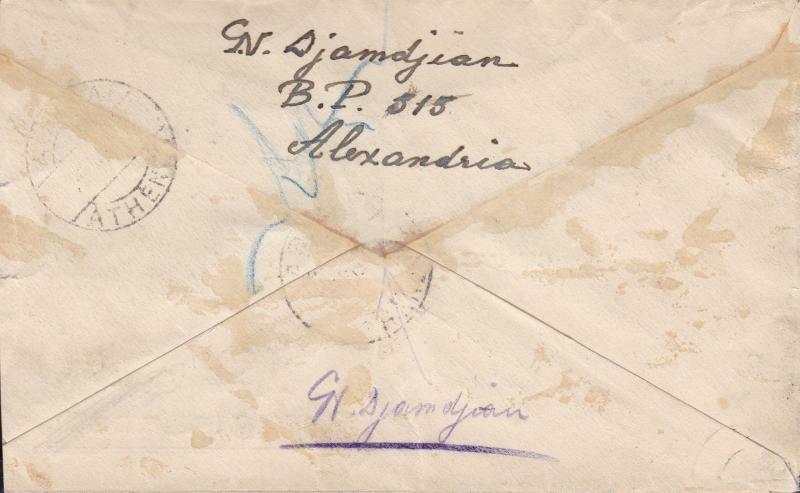 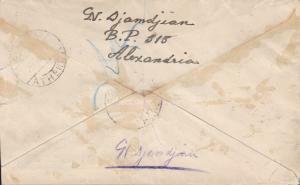 Armenian correspondence. 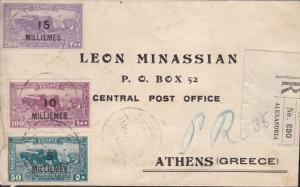 some tone signs of wear. 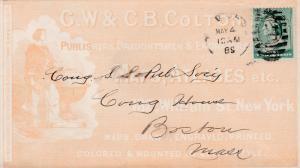 SEE Scans. 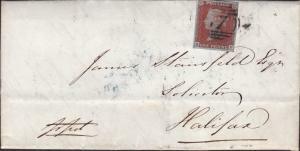 Reduced at right.